Inmarsat’s been around since 1979, operating geosynchronous communications spacecraft using the S-band. Compared to the GPS system, not overly glamorous. In the maritime satcom market, they’re the biggest fish in the pond. 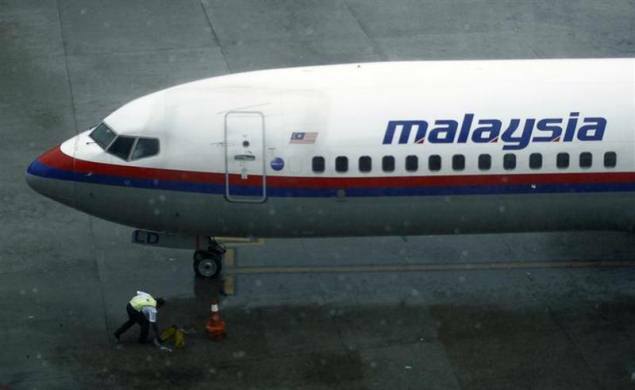 With the current attention focused on how this old satellite company using standard physics to help locate the lost Malaysian airliner, they should become better known. 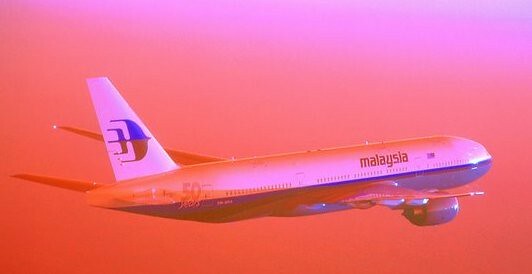 Britain’s Inmarsat used a wave phenomenon discovered in the 19th century to analyse the seven pings its satellite picked up fromMalaysia Airlines Flight MH370 to determine its final destination. Inmarsat’s scientists then interrogated the faint pings using a technique based on the Doppler effect, which describes how a wave changes frequency relative to the movement of an observer, in this case the satellite, a spokesman said. Britain’s Air Accidents Investigation Branch was also involved in the analysis. “We then took the data we had from the aircraft and plotted it against the two tracks, and it came out as following the southern track,” Jonathan Sinnatt, head of corporate communications at Inmarsat, said. The paucity of data – only faint pings received by a single satellite every hour or so – meant techniques like triangulation using a number of satellites or GPS (Global Positioning System) could not be used to determine the aircraft’s flight path. They did a fine job with their corporate video, too. Standard concept of a “timeline” script, yet executed brilliantly. Very cool, yet incomprehensible. 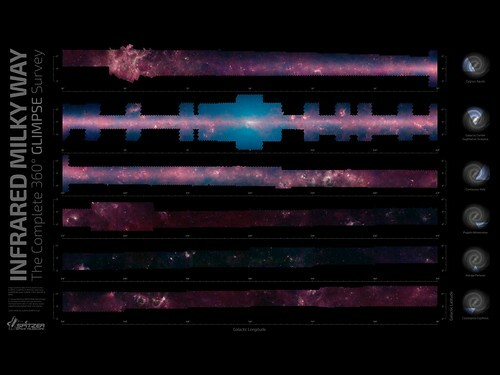 A 360º view of the Milky Way galaxy, composed of more than 2 million images. Not very pretty, is it? Well, you can win them all — but the sheer magnitude of this piece of work is pretty wild. That’s astronomy for you: deeper than your deepest imagination. Never ceases to amaze most of us: there are more galaxies out there than there are stars in the Milky Way. OK, now get this. You can put some of this “WTF?! ?” up on your wall. Go check out BigBangPrints.com and order some for yourself, or your spouse, boss, kids, etc. Go ahead: make their day! High winds delay launch of Astra 5B and Amazonas 4A. Satellites pick up two significant objects in the southern Indian Ocean southwest of Australia, one estimated at 78 feet long, and ships are steaming quickly toward both. Missing flight MH370 puts spotlight on satellite technologies that could ensure tracking and communicating with aircraft over water and uninhabited areas. NewSpace Global releases 2014 SmallSat report examining global industry leaders, major investors, and sources of revenue in this sometimes obscure market. KazSat-3 being readied for shipment to Baikonur. Orbital drops antitrust lawsuit against United Launch Alliance. Es/HailSat solicits bids for second satellite. RRsat plans expansion in US market, opening a new office in the United States. Exelis installs its satellite communications on-the-move technology into the U.S. Army Stryker vehicle during the Army Expeditionary Warfighting Experiment at Fort Benning, GA.
M7 group selects EUTELSAT 9A to launch its new pay-TV platform in Hungary. Speedcast strengthens it leadership position in the Asian maritime market with new facilities in Singapore. SES reaches 291 million TV homes around the world, with 151 million in Europe; sees room for growth in Latin America. DMSP-19 encapsulation within the Atlas V launch vehicle payload fairing represents an important milestone for the DMSP-19 launch campaign. Arianespace calls for opening of U.S. government market to international launch services competition. Head of Germany’s space agency urges ESA to scrap the favored Ariane 6 plans. Gogo receives supplemental type certificate from FAA to install Ku-band satellite connectivity service on Airbus A330 aircraft. Inmarsat signs contract with Hughes Network Systems to manufacture the new Low Profile BGAN terminal. Globecomm Maritime forms a strategic relationship with Future Care, Inc, to create Future Care Live, a video-enabled telemedicine solution. Gilat introduces StealthRay 300X-M Low-Profile Ultra-Compact X-Band Satellite-on-the-Move Antenna. RSCC and Thales Alenia Space successfully launch two new Russian communications and broadcasting satellites, Express At1 and At2. Former Arianespace chief says SpaceX has advantage on cost in testimony to French Senate. Orbital introduces the GEOStar-3 commercial communications satellite platform. Pentagon weaning itself from controversial bandwidth lease with Hong Kong firm. Ball Aerospace powers on bus of the first Joint Polar Satellite System (JPSS-1) satellite for the first time. An alliance between France’s Orolia, and Transas Group aims to integrate Maritime Domain Awareness (MDA) and Search and Rescue (SAR) functionality into enhanced marine communication solutions. Harris Broadcast splits into two separate companies: Imagine Communications and Gates Air. Gogo’s business group Aircell unveils its ST 4300, a new in-flight communications system for business aircraft. Elektrobit completes a multi-year study with European Space Agency (ESA), analyzing the benefits of using multiple antennas (MIMO) in satellite communications. Airbus Defense and Space launch new high throughput satcom services featuring Ku-, X-, and Ka-bands without need to change antenna systems. Gilat SkyEdge II-c Capricorn IP Router offers throughput exceeding 200 Mbps. Moscow accuses Ukraine of electronic attack on satellite. 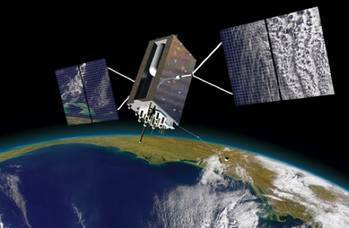 M2M satellite communication market to grow at a CAGR of 9.8% to 2019 according to RnRsMarketResearch report. Global Satellite Communication market in the Oil and Gas industry is to grow at a CAGR of 5.74 percent over the period 2013-2018. Arab satellite pay-TV market expected to grow at steady pace from 2014 to 2017, with room for more entrants into the market. Azerbaijan and Argentina to cooperate in outer space. GSA renews satellite-based training network contract with Hughes Network Systems. Orange Business Services joins European Union to assist in development of cloud-based ship management platform. Satellite signals can confirm plane’s identity. 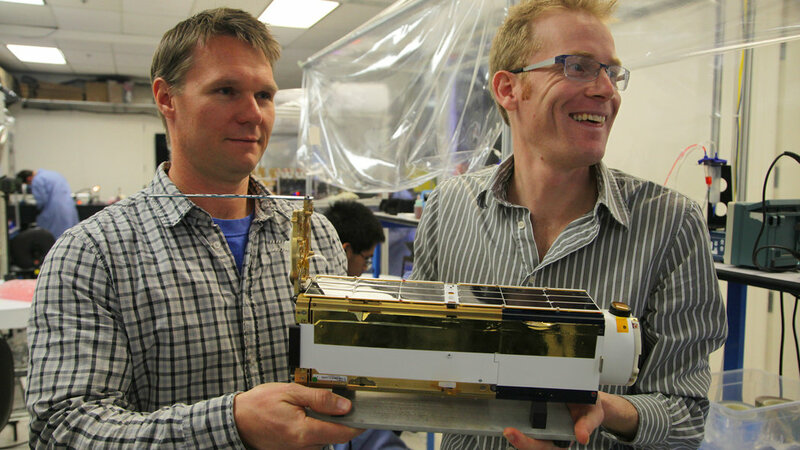 Start-up Planet Labs aims to conquer space market, launching dozens of small satellites to provide near constant observation of Earth. Arabsat issues an RFP for four new satellites, to be designated HS3, HS4, AR6E and AR6A. Gilat Satellite Networks chosen by Inmarsat as Gobal Xpress services partner for new fixed land VSAT opportunities. Ka-band tail-mounted satellite communications antenna for in-flight Internet connectivity introduced by TECOM. VSAT Auto-commissioning systems enable accurate VSAT pointing, crosspol, and power adjustment, providing feedback to the installer from a carrier monitoring system over the VSAT link. Continuing satellite system handshake signal after other communications had been turned off leads to conclusions that someone on Malaysian flight deliberately altered its flight path to one of two corridors. Inmarsat says it had recorded electronic “keep alive” ping signals from the missing Malaysia Airlines jet after it disappeared. Survey by MarketsandMarkets puts worth of M2M satellite communications market at $4.763 billion by 2019. SES threatens to cease future dealings with Arianespace unless SES’s O3b Networks broadband satellites are given a spring launch slot also coveted by the European Commission for the commission’s Galileo spacecraft. Jury trial to begin March 26 to determine whether satellite broadband provider ViaSat Inc. is right in claiming $800 million in patent-infringement damages from satellite builder Loral Space and Communications. SpaceX delays its next supply run to the international space station after discovering an oily residue on thermal blankets that protect the trunk of the Dragon cargo capsule. Inmarsat is negotiating with fleet operator Arabsat on the placement of an Inmarsat S-band payload aboard Arabsat’s Hellas Sat 3 satellite. NASA prepares to launch fifth in a series of smartphone-controlled small spacecraft into orbit; PhoneSat 2.5 to be carried into orbit sunday, March 16 as part of SpaceX cargo for International Space Station. Cobham Satcom, an Inmarsat Global Xpress partner, announces two new maritime terminals and three new land mobile terminals for Inmarsat’s new satellite network. DRS is awarded $30 million contract to operate control and maintain satellite communications between the continental U.S. and worldwide locations. Nearly a week after Malaysia Airlines Flight 370 vanished U.S. investigators say based on an analysis of satellite signals from the Boeing 777, it may have landed at some point. Chief of the space services department at the ITU Radiocommunication Bureau expresses surprise to hear satellite executives brag about their prowess in playing fast and loose with the rules. Commercial launch service providers raise the possibility of Europe’s Ariane 5 rocket becoming American, the international Sea Launch becoming Russian and the high-cost Japanese H-2A rocket becoming cost competitive. Malaysian airliner disappearance highlights need for Aireon’s satellite air traffic system. Northrup begins integrating new 20 GHz high-speed phased array antenna into fourth Advanced EHF communications payload. Lockheed Martin solicits info on alternative navigation payload similar to the one that has delayed the U.S. Air Force’s next-generation GSP-3 system. Panasonic Avionics Corporation expects to double the size of its connectivity-equipped fleet by the end of 2014 following FAA certification of a bird strike compliant radome for B777-200 aircraft. Intelsat enters agreement with Airbus Defense & Space bridging maritime VSAT services to Intelsat’s High Throughput Ku-band Satellite (HTS) EpicNG platform. Gilat introduces new X-band antenna. Arquiva to provide exclusive distribution of Al Jazeera Media Network channels on two of the Es’hailSat satellites. Crystal Solutions will be launching Crystal Solutions Connect™, a content substitution tool for multiple distribution paths, at the National Association of Broadcasters Show (NAB). SES signs a capacity deal with Alruya, a leading system integrator and VSAT operator based in Libya, to deliver connectivity to oil and gas fields in the country. Boeing reveals an order last year by a U.S. government customer for three light-class geostationary satellite platforms with all-electric propulsion. 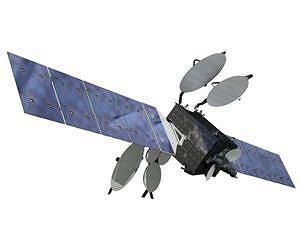 Boeing and TrustComm to sell satellite bandwidth to government and commercial users. Gilat Satellite Networks selected by Inmarsat as Global Xpress services partner for new fixed land VSAT opportunities. Elektrobit (EB) develops a Multiple Antenna (MIMO) test environment for next generation satellite networks. Emerging Markets Communications announces receipt of contract from Brazilian Navy to provide VSAT satellite connectivity services for the entire Brazilian Navy fleet. SatLink Communications chosen for global distribution of Ethiopian news channel. Euroscan Holdings, B.V., a telematics solution provider, is acquired by ORBCOMM Inc.
China brings its rapidly expanding satellite surveillance capabilities to bear in the effort to find out what happened to Malaysian Airlines 370. ITC Global launches a new network over Sub-Saharan Africa, utilizing the Intelsat IS-25 spacecraft. Nynex grows its multi-million dollar contract with Avanti Communications to extend satellite broadband coverage across Libya. Etisalat showcases latest VSATExpress, VSATConnect and Satellite News Gathering services at CABSAT 2014. Vislink chooses the Q-Lite compact satellite modem for its Advent MSAT portal terminal for Satcom On The Move (SOTM). Kratos selected by TrustComm to provide Starlight gateway satellite earth station. Harris CapRock debut’s its advanced Pulse VSAT system which dynamically reassigns satellite capacity on demand by leveraging Comtech EF Data Corporation’s efficient modem technologies and Vipersat Management System. Harold Rosen, satellite communications pioneer often called the father of the geosynchronous satellite, gets life achievement award. Gilat announces availability of SkyEdge II-c Capricorn satellite VSAT with exceptional throughput exceeding 200Mbps. Newsat selects Kratos for command and control systems for Jabiru-1 satellite. Orbital introduces the GEOStar-3 commercial communications satellite platform combining traditional and electric propulsion. Kymeta demonstrating metamaterials-based flat panel satellite antenna at Satellite 2014 following successful transmit and receive tests on the satellite in Canada and the U.S.
LightSquared and ViaSat enter multi-year agreement to introduce ViaSat L-band managed Service, a mobile service using LightSquared’s SkyTerra 1 L-band satellite, with the largest antenna, 22 meters, ever put in service on a commercial satellite. Germany’s Federal Network Agency selects Kratos for satellite carrier monitoring solution. Opportunities exist to provide services to remote areas in Chile including tele-health and tele-education as satellite communications forms key part of Chile’s national space policy in 2014 – 2020. EMC Satcom Technologies and Kymeta announce strategic collaboration to advance the speed, reliability and efficiency of satellite communications for mobile, fixed, and aerospace markets with flat panel metamaterials antenna. ORBCOMM launches new satellite modems targeted for systems integrators and resellers. Crystal Solutions will host a series of satellite interference prevention and Carrier ID detection workshops at Satellite 2014. Satmex adopts the Eutelsat brand, becoming Eutelsat Americas. Disaggregation gets traction in 205 Pentagon budget request as the U.S. Air Force plans to take its initial steps toward adopting a new military space architecture. U.S. Air Force is halving the number of space launches to be competitively awarded from 2015 to 2017 due in part to anticipated slowdowns in satellite programs. Arabsat and Telesat sign new Hellas Sat agreement under which Telesat will utilise a lifetime Ku-band payload on the new Hellas Sat-4. Virgin Galactic nearing approval for SpaceShipTwo launch license. Airbus and Thales poised to solicit bids for components for Neosat, a platform whose goal is to assure European commercial competitiveness with its U.S., Japanese, Chinese, Russian and other competitors. Kratos is selected to upgrade the network operations center for the Vinasat-2 satellite. KVH foresees big lift from rising tide of maritime broadband demand. CEO of Liquid Telecom, builder of the largest fiber network in Africa, explains that the growth of fiber across Africa has actually driven up the need for more satellite services. 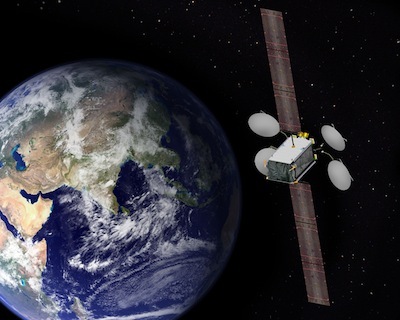 Intrasky purchases Ka-band capacity on Eutelsat 8 West C satellite to improve Internet connectivity in Lebanon. CPI’s new LifeExtender technology for TWT amplifiers adjusts the heater voltage over time, resulting in up to 50% longer life. Arabsat to order four satellites, including two for Hellas Sat subsidiary. Chief marketing officer of network infrastructure company Extreme Networks posts image on Twitter showing every single satellite in space currently orbiting Earth in a single graphic. NASA to solicit ideas for $1 billion mission to Europa. TrustComm signs agreements with Inmarsat and Spectra Group to distribute new L-TAC service with Slingshot adaptor. 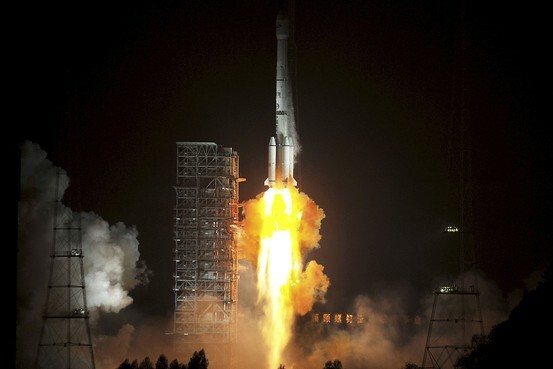 Inmarsat remains confident Global Xpress will be a hit with U.S. military. MTN expands into Southeast Asia and Oceania, extending C- and Ku-band satellite coverage in those regions through an agreement with NewSat. CSG to support Inmarsat Global Xpress offering with its next-generation convergent billing platform CSG Singleview, and offline and online network mediation platform CSG Intermediate. Orbcomm releases next-generation OG2 satellite modems for OEM integration into satellite M2M applications. South Korean KNS acts as primary sponsor of MSUA-11 at Satellite 2014 in Washington DC March 11-13th. Iridium chosen by ZTR Control Systems to provide satellite connectivity to its inReach remote monitoring solution. El Al Israel Airlines to offer ViaSat in-air broadband service. Strategy Analytics survey expects 55 percent of Europeans to buy Ultra HDTV in next two years. Elon Musk, whose company Space X has made headlines ferrying cargo to the International Space Station, ways the launching of national security satellites should be subject to bidding. C-COM iNetVu FLY-75V is first auto-deploying flyaway product type approved by ViaSat for use on its Exede Enterprise Service. Kratos’ RT Logic delivers 60th IP-routing Iridium modem. In deal with Disney, Dish secures Internet streaming rights for content from Disney’s ESPN, ESPN2, ABC Family and Disney Channel as well eight ABC television stations. Intrasky combines Eutelsat Ka-band capacity with Newtec technology for Internet connectivity in the Levant area of France. ETL launches new range of RF over fiber equipment called the StingRay series. Pivotel joins Inmarsat distribution network for M2M services in the Asia-Pacific. Skylogic’s DataMiner end-to-end multi-vendor network management platform is expanded to include management of all antennas in its satellite earth station at Torino, Italy. Intelsat CEO pins Intelsat’s return to growth on promise of Epic series of high-throughput satellites and mobility applications, as military demand for bandwidth declines. Iridium announces delivery by Thales Alenia Space of satellite simulators for Iridium Next launch testing. Digital Satellite News Gathering (DNSG) operators can now offer free of low-cost public Wi-Fi access to venue and event operators using NovelSat’s new portable, satellite-based wireless internet access solution Sky-Fi. Pentagon budget scraps two Lockheed satellites, postpones others. ITC Global debuts new brand and marks milestone as top 3 satellite network provider to remote industrial markets. UK based Ocean Signal, claiming the world’s smallest personal locator beacon, announces the appointment of All Sat Communications as its new distributor in Australia. Newly declassified military space program would utilize new Air Force spacecraft as orbital watchdogs to protect U.S. satellites. Hughes Network Systems is awarded new task order by GSA to provide commercial satellite communications end-to-end services to enable distance learning capabilities for the Education and Training Network (GETN). Hispasat and Asiasat, two of several foreign suitors of Israel’s Spacecom, raise their bids.